The mayor's office declined to give information on the finalists to run the city's transportation department, and search-committee members who vetted those finalists signed confidentiality agreements to keep them from publicly discussing the candidates. 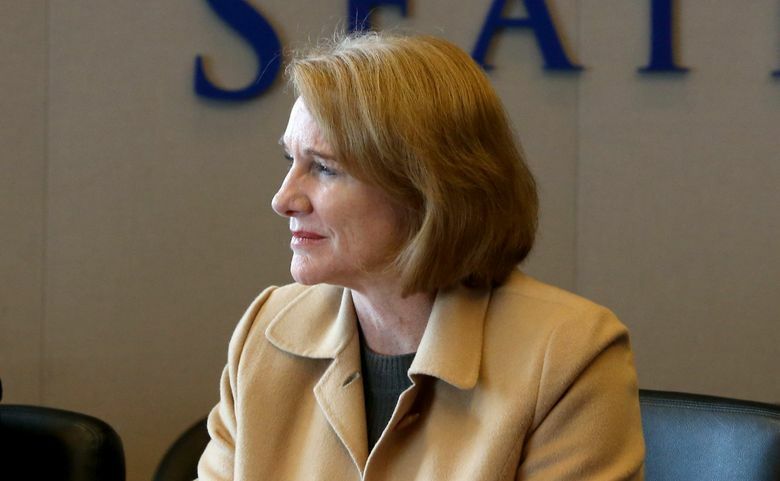 The search for a permanent director of the Seattle Department of Transportation is nearing its conclusion, but the list of finalists — both who they are and how many there are — will likely remain secret as Mayor Jenny Durkan makes her choice. Durkan’s office declined to give information on the finalists to run the city’s transportation department (SDOT). And members of the specially-appointed search committee that vetted the finalists were asked to sign confidentiality agreements that keep them from publicly discussing the candidates. Mark Prentice, a Durkan spokesman, said the mayor is interviewing finalists and would make a final choice by the end of the month, just weeks before the shutdown of the Alaskan Way Viaduct will inflame congestion and force major adjustments for travelers throughout the region. The mayor’s office and the city human-resources department declined public-records requests from The Seattle Times seeking information about applicants to be SDOT director, citing an exemption in the state Public Records Act. A public-records request for the list of finalists is pending. Prentice said the nearly yearlong search, using a national search firm and a special committee, was similar to the one recently used to choose a new leader of Seattle City Light. He said that past mayors have consistently kept the selection process confidential until they made a final selection to lead city departments. But the names of finalists to lead the Police Department have long been made public prior to a selection being made. SDOT has been without a permanent director since last December, when then-Director Scott Kubly resigned shortly after Durkan took office. At the time, the mayor’s office called Kubly’s departure a “mutual decision,” but in the year since, Durkan has made little secret of her dissatisfaction with Kubly’s performance. The city’s $930 million Move Seattle transportation levy over-promised what it could deliver before voters approved it in 2015 and SDOT has spent the past year assessing the levy and formulating a new plan for a narrower list of projects. And Durkan halted a long-planned downtown streetcar expansion in March, citing uncertainty about the costs to build and operate the system. The streetcar project remains stalled, pending further review, and Durkan said last week there is no timeline for a decision on whether to build or scrap the project. SDOT has been run by interim directors for the last year. Goran Sparrman, a previous deputy SDOT director and Bellevue transportation director, ran the department through August, when he left to take a job in the private sector. The current interim director, Linea Laird, was previously the administrator of the Highway 99 tunnel project. The uncertainty atop the department comes at a chaotic time for the city’s transportation system. Sound Transit is trying to choose the best routes through Seattle for a multidecade, multibillion-dollar expansion of light rail. There are big downtown rebuilds of Colman Dock and the Washington State Convention Center. The city has megaprojects of its own — the streetcar and several promised new bus lines. And in January, the Alaskan Way Viaduct will shut down, three weeks before the replacement Highway 99 tunnel opens, kicking off several years of “maximum constraint” for downtown travelers. Durkan said the lack of a permanent leader at SDOT is not exacerbating the department’s challenges, pointing the blame backward instead.